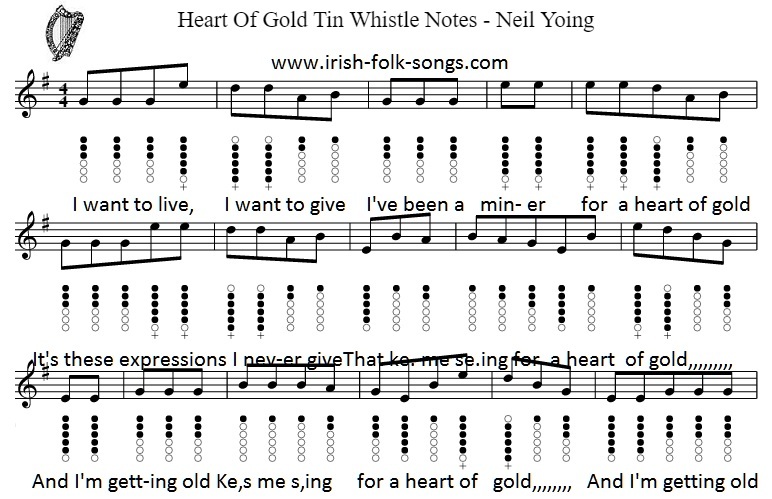 Heart of gold tin whistle sheet music notes by Neil Young. Written and recorded by Neil. The letter notes are included.